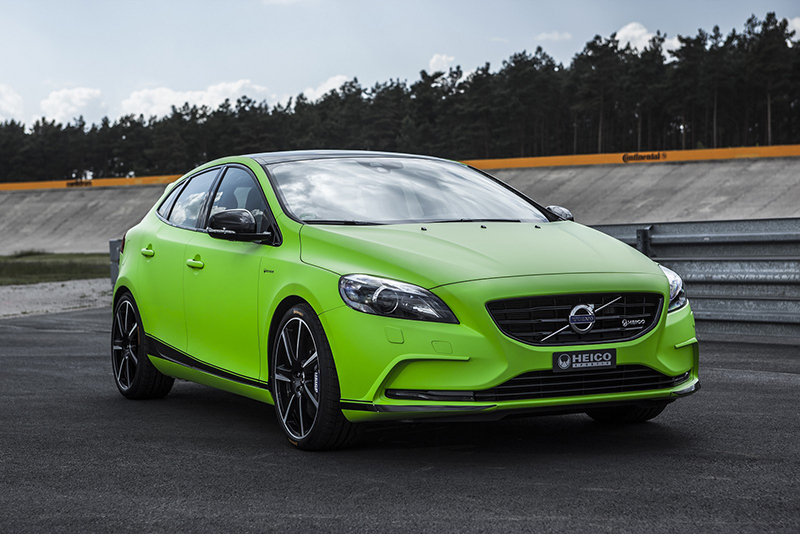 Heico Sportiv has been playing around with the Volvo V40 quite a bit lately and recently unveiling a V40 Pirelli edition that paid tribute to 50 years of the tire brand in Germany. Now, they’re making some noise with a high-performance variant that is looking to take it to the Audi S3 Sportback, BMW M135i xDrive, and Mercedes-Benz A45 AMG. 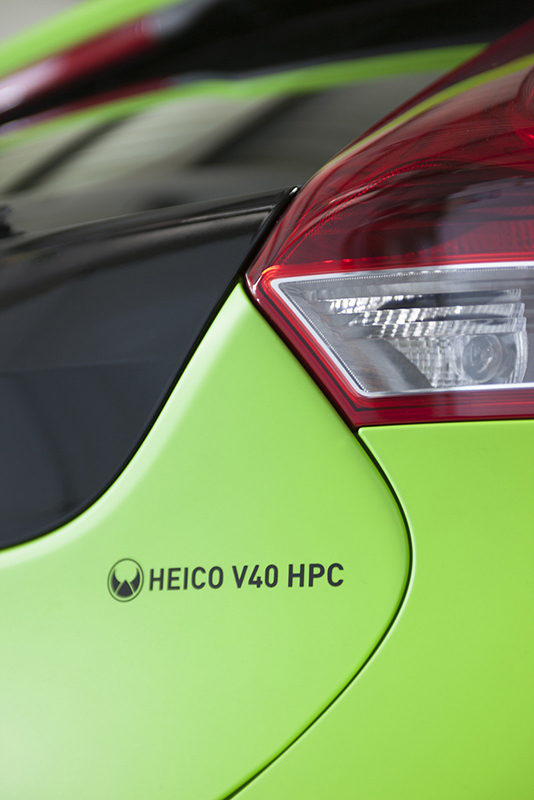 Called the Volvo V40 T5 HPC, with “HPC” standing for “Heico Performance Car”, the new performance variant is mean and green, but not in that electric-hybrid sense. 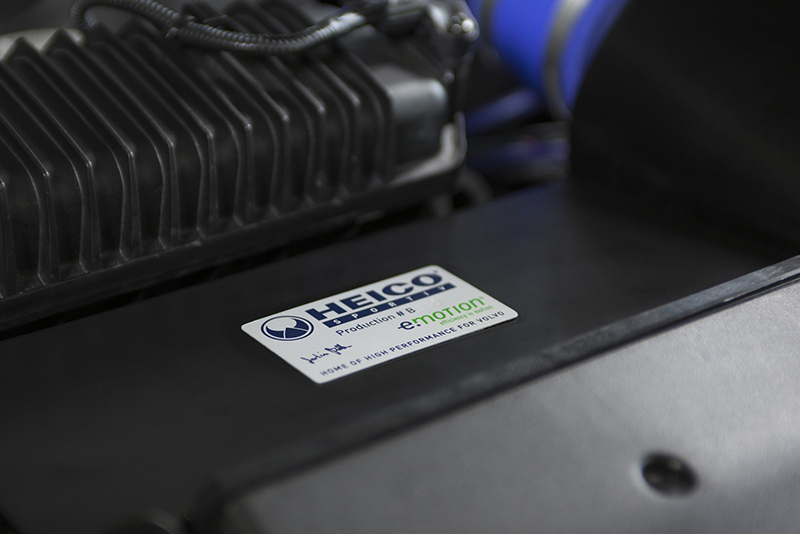 The “HPC” name has been worn by Heico Sportiv models before, when the S80 T6 HPC was unveiled at SEMA in 2007, but “HPC” stood for “High Performance Concept” back then. The basis for the Heico Sportiv Volvo V40 T5 HPC is an all-wheel drive V40TCC T5 model powered by a turbocharged inline-five cylinder engine. Here, the Heico Sportiv team got to work and modified the turbocharger, intercooler, intake, and exhaust system with its new sport catalytic converter and valve flap control system. A new e.motion tune and speedpack helps to increase power and top speed, while a water-ethanol injection system provides on-demand performance. 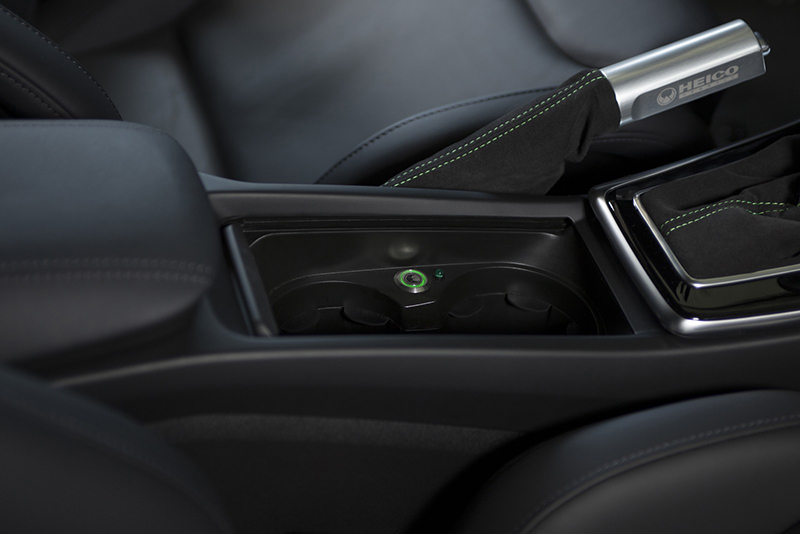 In total, output rises to 320 horsepower and 350 horsepower with the injection system, while torque gets boosted to 376 lb-ft.
As part of the package, drivers have the option to select three different performance levels that are chosen using an illuminated stainless steel button in the center console. 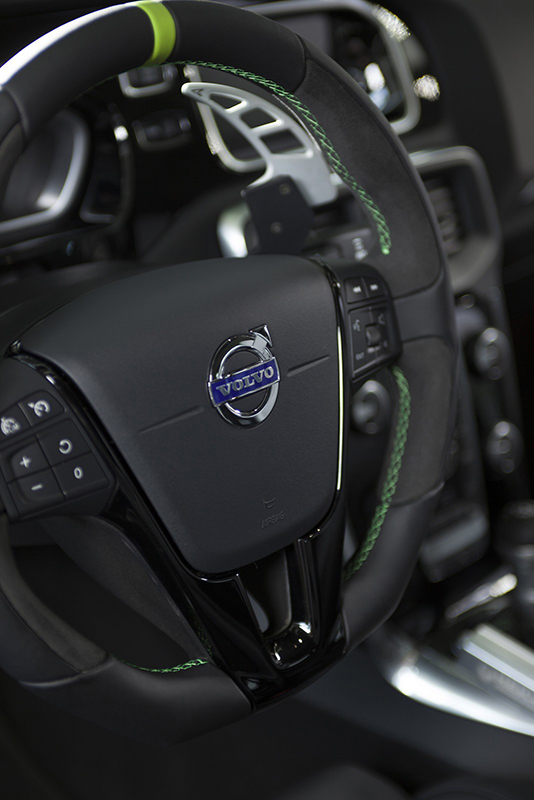 The V40 T5 HPC produces a standard 320 horsepower in Level 1 (green light), Level 2 (blue light) opens up the exhaust valves, and Level 3 (flashing blue light) activates the water-ethanol injection system that allows the Volvo to accelerate to 62 mph in 506 seconds and reach a top speed of 165 mph. 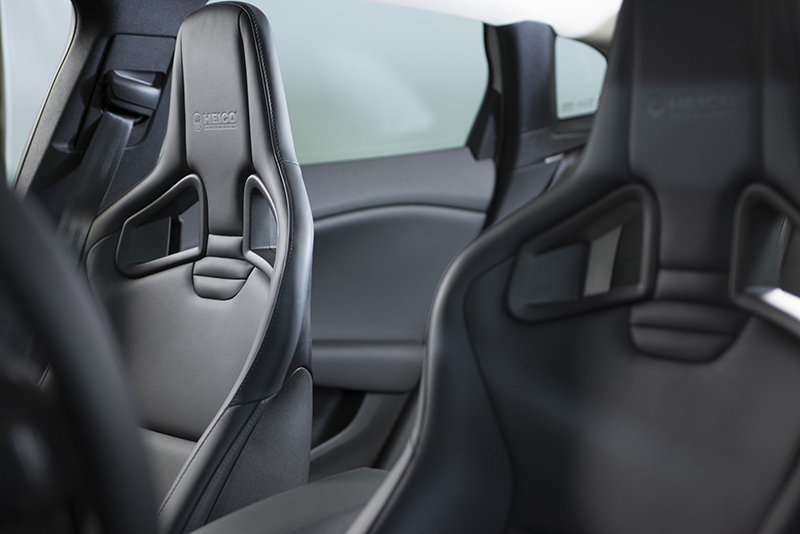 The transformation from the factory Volvo V40 into the “HPC” continued as the entire chassis was modified for performance. A new Heico Sportiv sport suspension with cross-brace, shock absorbers tuned specifically for the car, and sport springs that help lower the ride height by 30 mm to reduce body roll, lower the center of gravity, and sharpen up handling. A new set of six-piston brakes with massive 370 mm perforated discs and an efficient cooling system reduce fade and provide unrelenting stopping power. The final touch is a set of Diamond-cut Black Volution VII weight-optimized wheels in an 8.0 x 19 setup with 235/35 R19 ContiForceContact cup tires. 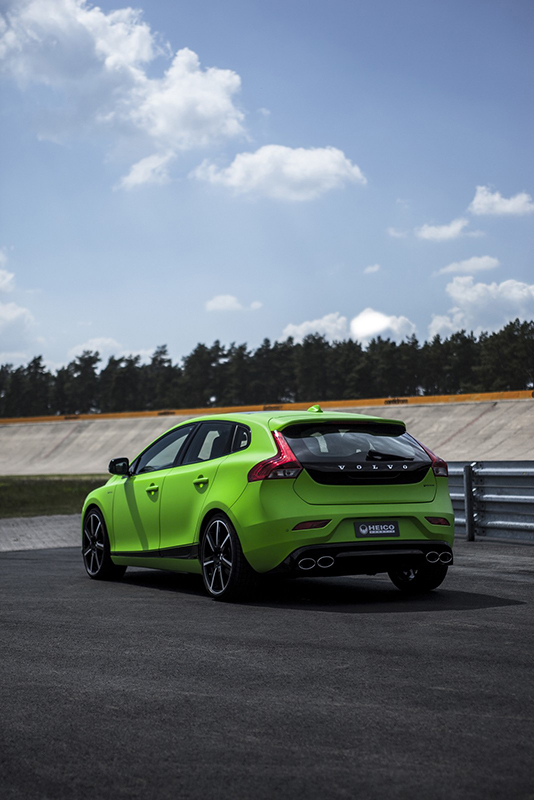 Heico Sportiv took steps to make the Volvo V40 T5 HPC look more aggressive and dynamic compared to the factory model. The German tuner installed a lightweight polyurethane plastic (PU-R-RIM) that includes a front spoiler and a rear skirt with a diffuser-look design. The entire vehicle was then wrapped in a special Matte Toxic Green film with a black lateral stripe that runs from the front bumper to the rear at the bottom of the car. Inside, things are a bit more sporty thanks to some Heico Sportiv goodies. 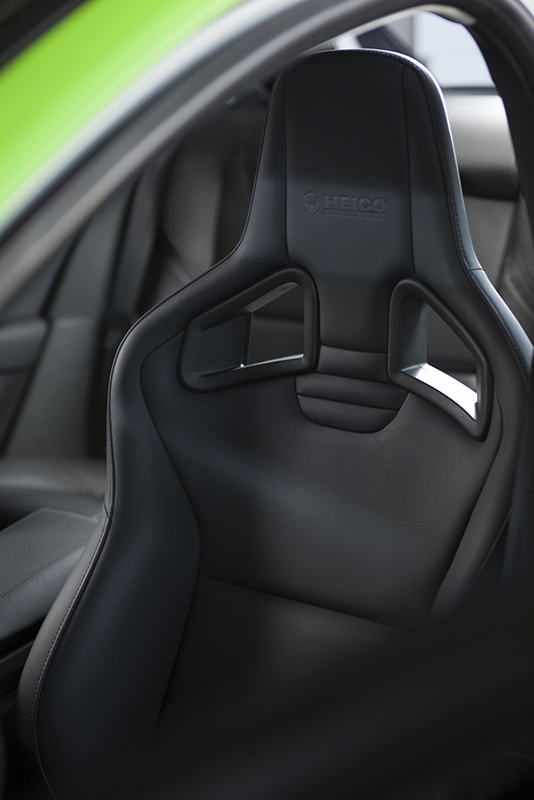 All of the new Recaro body-contoured sport seats and door panels have been given a new coat of leather while the sport steering wheel with new paddle shifters, gearshifter, and handbrake were given green stitching, with the gearshifter and handbrake wearing alcantara. New piano black trim was fitted to the tachometer cladding, center console, and steering wheel inlay to give the interior a classy, clean feel. Occupants will be greeted by a set of illuminated stainless steel sills in anodized black, while aluminum foot pedals, foot rest, and new velour floor mats finish off the interior. The Heico Sportiv Volvo V40 T5 HPC will be available for the masses and is more than capable of daily driving duties. 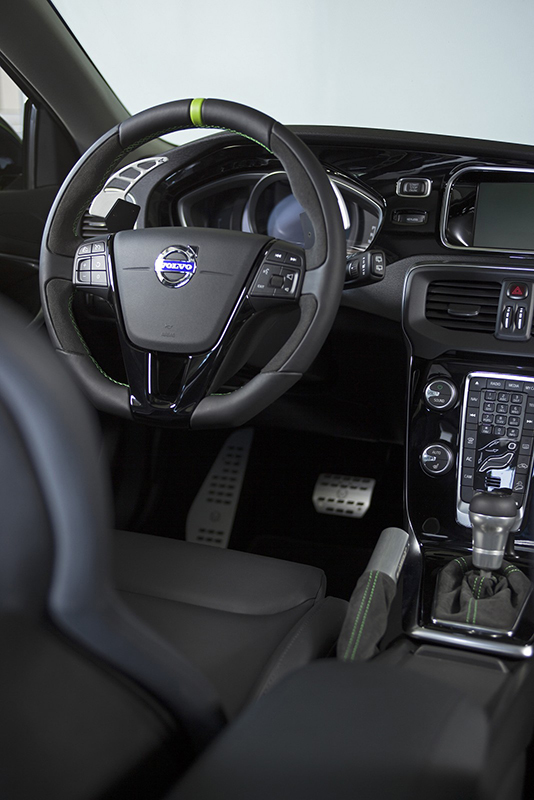 Customers can also order individual upgrades shown on the featured car for their Volvo V40 models. Is the Heico Sportiv Volvo V40 T5 HPC competitive against the A45 AMG, S3 Sportback, and M135i xDrive? Did you know that Volvo set a Nürburgring Nordschleife Record?